Have you ever felt alone in your search for depth, meaning, and purpose in life? Do you sense the Spirit calling you to a deeper, more adventurous way of living? Are you seeking a community that supports you in being true to your deepest calling? There’s a place for you here. 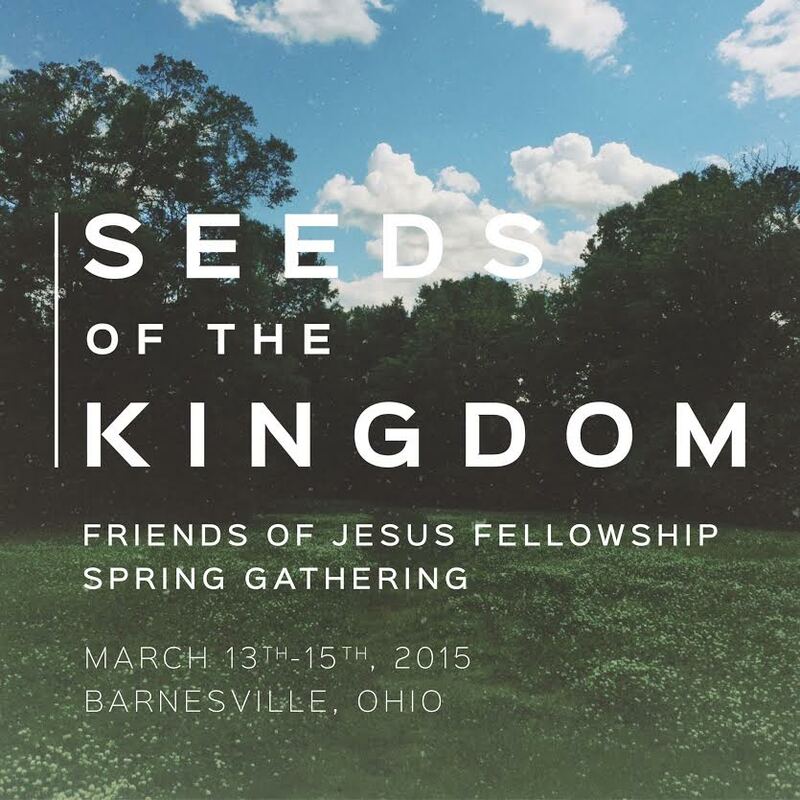 This March 13-15, the Friends of Jesus Fellowship is gathering in Barnesville, Ohio to explore what it means to allow the kingdom of God to truly come alive among us. How can we uncover what it is the Spirit is asking of us? Where are the tools that God has given us to be faithful? What part does each of us have to play in building up a love-centered community in the midst of Empire? The seeds of truth, love, power are scattered everywhere. This spring, we’ll discover community and explore how we can support one another. We’ll tend the seeds of life, and learn how to bless our neighborhoods with Christ-like character and love. Does this sound like the place for you and your tribe? We hope you’ll join us.